This resource is a great way to guide your grammar instruction. Use pages to assess and activate prior knowledge, for informal assessment, to differentiate, for use in small groups, extra practice, homework, to document mastery and any other way you see fit in your classroom. They are a great addition to your direct instruction, hands on activities, and center rotations. 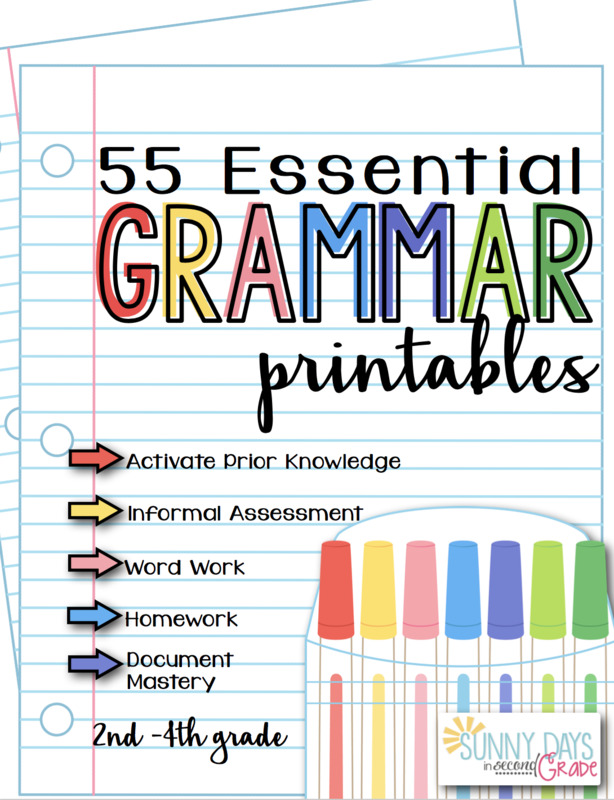 These printables can help you be sure that your students have mastered content and can apply their new knowledge. Give them the practice they need. Allow them to practice skills in context and pinpoint where more help is needed. Each skill listed below is represented in this pack with at least 2 different printables. Some skills have as many as 4 printables so you can use them in a variety of ways, like pre- and post-assessments, for example. Depending on your students, they are suitable for grades 2-4.